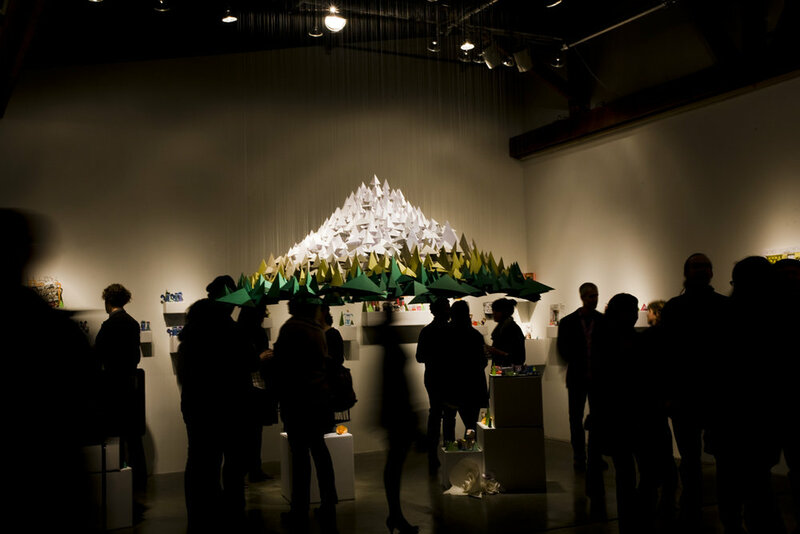 Nearly 1,000 paper tetrahedrons were crafted, strung, and suspended in a mountain formation mimicking the view of Mt. Hood from the city of Portland. This installation was featured in the Portland Paper City exhibition that I co-curated with artists Jessie Bazata, Sean Garrison, and Rory Phillips.